A quick overview of the settings I have selected. Change the Schedule as you see fit. 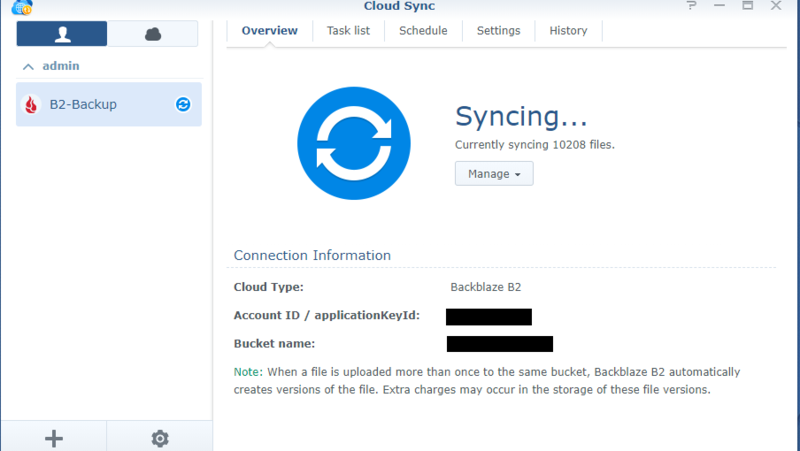 I let my backups run at night time between 12am and 9am. This works best for me. The most important selection on this screen is Polling Period. Make sure it is set to 3600 seconds. 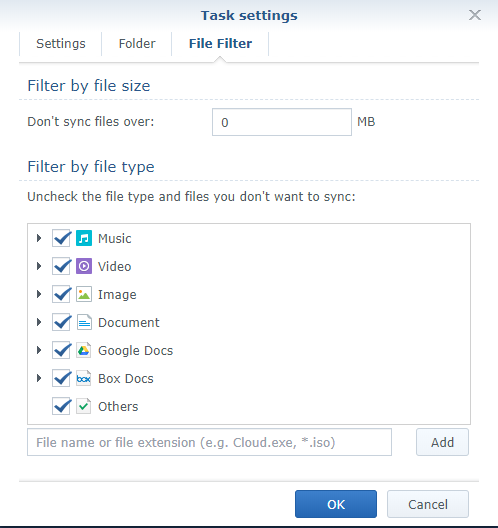 This polling setting controls how often Cloud Sync should search for new or changed files. 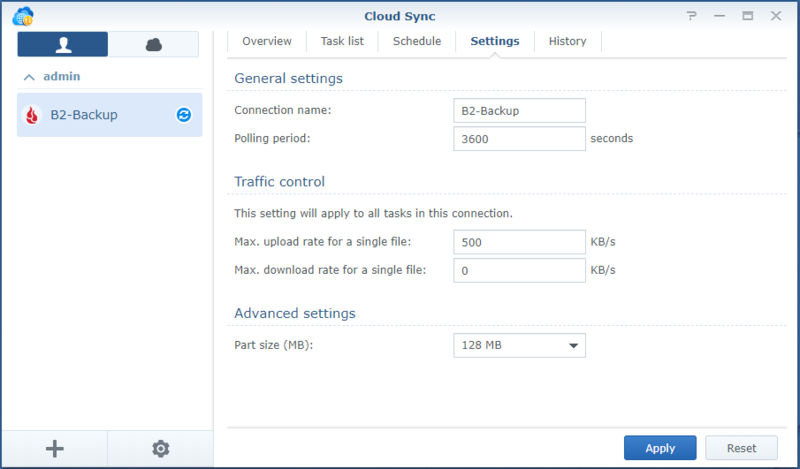 If it is to aggressive it could impact performance for your Synology box (shorter polling periods; the default value is 60 seconds). 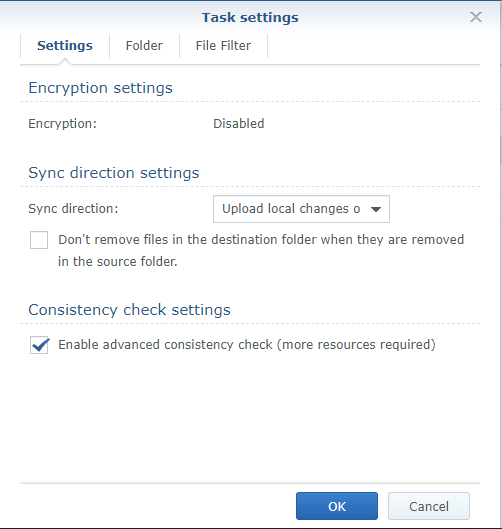 Within “Task Settings” I selected “Upload local changes only” as I want to push the files from my local Synology box to the Cloud. 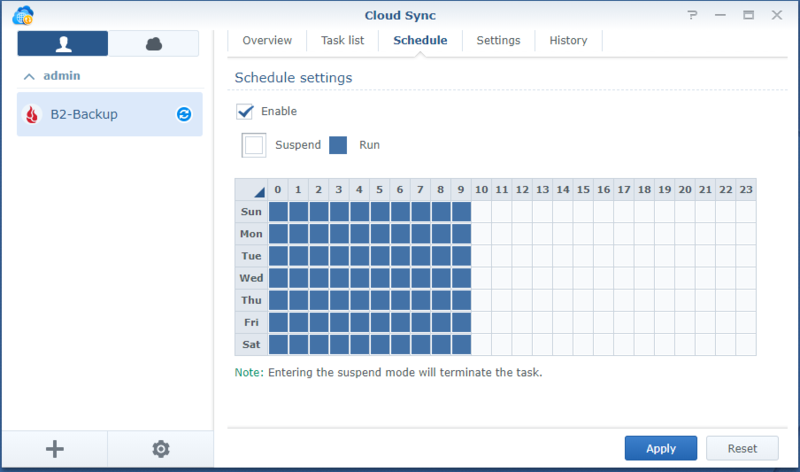 I do not want any changes from the cloud such as deleting a file to be pushed back to my Synology. Your use case may be different so select what you need. I want to sync all files, so all file types are selected. That’s all there is to it. If you have any questions comment and I’ll do my best to answer. Note: On the Cloud Sync screen it may show a arbitrary number such as “Syncing 10200 files” but keep in mind it will sync all your files. The UI seems to have a bug where it can only display around 10,000 files but the back-end process will sync all your files.